At Total Care Chiropractic, our goal is simple: to help you feel better and return to living the way you want to. 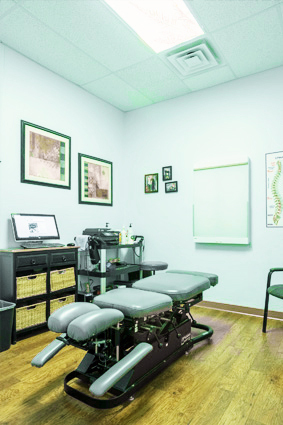 Our chiropractic care is designed to get you out of pain as quickly as possible. Below, you can read more about how we plan to help you. Dr. Woods primarily uses the Diversified Technique in your chiropractic adjustments. It employs certain aspects from an array of other methods. Your care can involve Gonstead, Thomspon Drop or Graston, amongst others. When appropriate, Dr. Woods may also recommend Bioveda Bax Aura laser therapy to you. Our patients get incredible results from rehabilitation, which involves Vibration Therapy, Rapid Release Technique, home exercises and more. Many of the high school and college athletes at our office find rehabilitation beneficial post-injury. If you’re sick of discomfort being a part of your life, don’t delay. Experience the benefits of chiropractic. Contact us today to get the attention you need!